I was exposed to the back to school scavenger hunt for the first time when our daughter was entering 7th grade. (Don’t know how I avoided it for so long.) We spent 2 hours in Staples looking for a very specific folder. Either Staples didn’t carry it or the store we were in was out of them. My wife informed me that we would be trying another Staples. I’m a software developer and couldn’t believe the stores were packed with parents who were spending so much time on this antiquated and inefficient process. My wife explained to one of the reasons the process was so inefficient was that the items on the list can suffer from one of two types of frustration. Either the description was too specific making the item hard to find, or it was too vague leaving us to make our best guess at what we should buy. That weekend I started a website called SupplyChasers.com where teachers can create a supply list and point to the exact items on Amazon.com. It is simple, easy to use, free, and the teachers can make as many lists as they want. To add items to their list the teacher starts by searching for an item on Amazon.com. When they find the exact item then they copy its URL from their browser’s address bar and paste it into their list. They do this for each item they add. When an item’s URL is added to the list the website uses it to go to Amazon.com behind the scenes and retrieve the item’s image, manufacture’s name, description, and estimated price. These are all displayed on the teacher’s list. The URL is also used to create a link from the teacher’s list to the product’s page on Amazon. This is useful when the parents are viewing the teacher’s list from their phones while shopping. Each list has a unique URL that can be posted on the teacher’s website or can be emailed to the parents. Of course, teachers can add items to their list don’t have an Amazon link. But for the items that do the surprisingly productive part is that the parents can set the quantity for each item and then click the “Buy from Amazon.com” button. When they do this, all of the Amazon items from the teacher’s list with a quantity greater zero are automatically added to the parent’s Amazon cart ready for checkout. The SupplyChasers.com lists save the parents time and frustration and ensures that the students have the correct supplies for the teacher. You can download all of the code here. Below is the main PowerShell script called Process-InBasket.ps1. It might be scheduled to run every few minutes. It will look for new commands and if any it will call OneScriptClient passing in the parameters found in the command. Then it will run if it finds a new *.sql file in the In-Basket directory. It will restore a resent backup of production, apply the script and then email the developers with “Success” or “Failed” in the subject. The body of the email will be the log and attached will be a file with the results of the script running. Process new SQL Scripts files by applying them to a SQL database. Process-InBasket loads a Config file that controls all variables in the process. It then looks to a directory to search for new *.SQL files. Once a new file is found, a backup of the database is restored to SQL Server. The script is then applied. The process then looks for an SQL errors. Then it sends an email of the log with "Success" or "Failure" in the subject. Write-Error "No SQL Backup File Found." Log "No SQL Backup File Found." Write-Error "Running SQL Script Failed"
Log "Running SQL Script Failed"
Log "SQL Script Run Successful"
Write-Error "SQL Script Had Errors"
Log "SQL Script Had Errors"
$SQLFile = $SQLFile -replace ".sql$", ". *"
Below are the default directories I use. These could all be under c:\DeployTest or something. I didn't want to hard code the directory paths because I could make changes like moving the Archive directory to a shared drive like "\\MyShare\MyProject\Archives". I will also have multiple project using my PowerShell code so having config files makes it easier to work with. Typically you would have one of these per project. This might be called something like NorthwindDeployTest.xml. Notice that there is a "BaseDir" element and then other directories are a relative path under it. They have an attribute Parent="BaseDir". This can be removed if you want to use a different directory not under the BaseDir. Now all that we need is a PowerShell script to read this XML config file and then process it. One of the files under DeployUtils is Load-DeployConfig.ps1 and that is what it does. Write-Host "this is it: $LogFileName"
%SystemRoot%\system32\WindowsPowerShell\v1.0\powershell.exe -noprofile -executionpolicy bypass -file C:\DeployTest\DeployUtils\CreateOneScriptCMD.ps1 "%1" "%2"
The arguments passed to the batch file are just passed to the PowerShell script file. The %1 is the path to the Subversion repository and the %2 is the revision number just created by the commit. The CreateOneScriptCMD.ps1 PowerShell script will look at the directories just committed and then create a text file with the appropriate OneScript Command arguments. I then have a scheduled process that runs every few minutes that will see this new file and then do the real work. I did it this disconnected way so the developer doesn’t have to wait for the full process to complete when he does a commit. #            Write-Verbose "Author =  $author"
-s 1 -p 3 -fb -ra -b "3.2"
These are the same arguments created from within the OneScript Client Windows program. Restore a resent backup of our production database to our Deployment Test SQL Server instance. Apply the release script that OneScript just generated to the database. Determine if applying the script had any errors. Send an email to the developers with “Success” or “Failed” in the subject line. Have the process log as the body of the email and have the results of applying the SQL release script as an attachment. This will tell the developers almost immediately if the SQL they just checked in causes an error in the release script. You can download all of the completed code from here. Most of this is done with PowerShell. 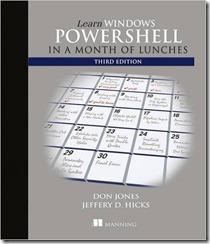 If you don’t know PowerShell I highly encourage you to learn it. It is easy to learn and the next version of Windows will not have the command anymore - only PowerShell. I recommend the book below. We are pleased to announcing the release of our product OneScript! It automates the building of a SQL release script from individual SQL change scripts. This allows you to include database changes as a part of your continuous integration process. Who is this for? Developers that work on applications where the contents of the database needs to be preserved. 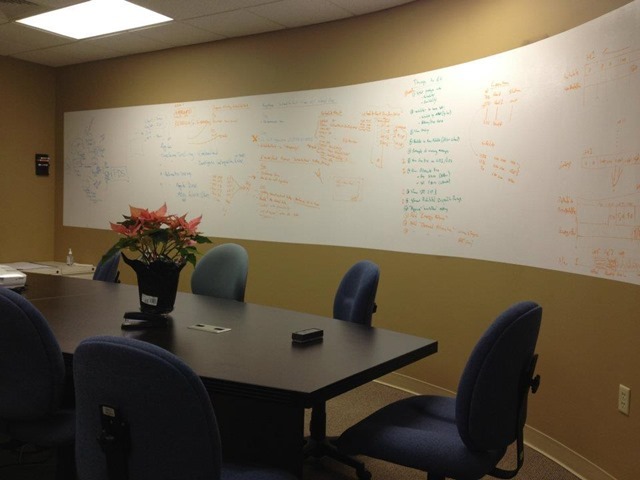 It is simple to use and integrates seamlessly into the development process. Developers continue to use the tools and practices that they already use. The change scripts are each checked into different folders based on the type of database object that they change. Example folder names are: Tables, Views, Store Procs, Static Data, etc. Within OneScript (one-time setup) each folder name is assigned a sort order. So something like Tables = 100, Functions = 200, Views = 300, Store Procs = 400, etc. Optionally, at the individual file level you can override its normal sort order or filter. When it does a build it will filter, sort and combine all of the individual change scripts into a single release script. You can do a build from the command-line! Keep a single big change script in source control that the developers keep adding to for a release. Give change script files a name that starts with the next available number (0044_, 0045_, etc.) so they are combined in order into single release script at build time. Do a “diff” between Development and Production databases and then script out the differences. Then hand edit it to remove anything not wanted. Separately, add our static data scripts. Email change scripts to the tech lead. Last one in wins for changes to the same object. Conflicts are hidden until release time. Undoing a change is a manual and tedious process. No history or auditability of changes. Doesn’t lend itself to automation. We just received our Idea Paint that we are going to put on one of the walls in our new workout room. This reminded me of when we painted the main conference room in the office building I worked in. 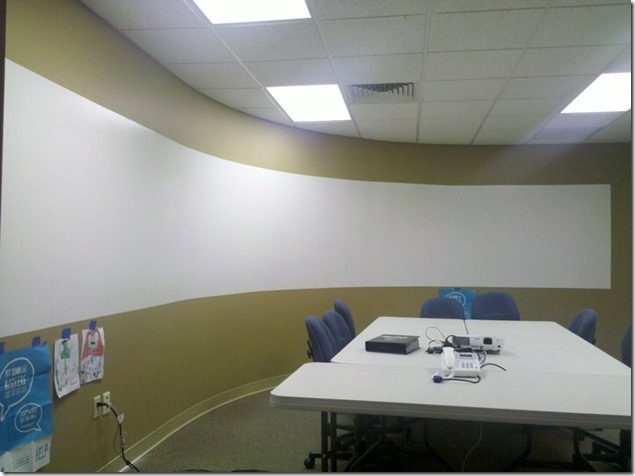 It was a big conference room with 2 little white boards that always had “Do Not Erase” written on them and a silly little paper easel. So I did some research and here is what we did. Click here to see current pricing. 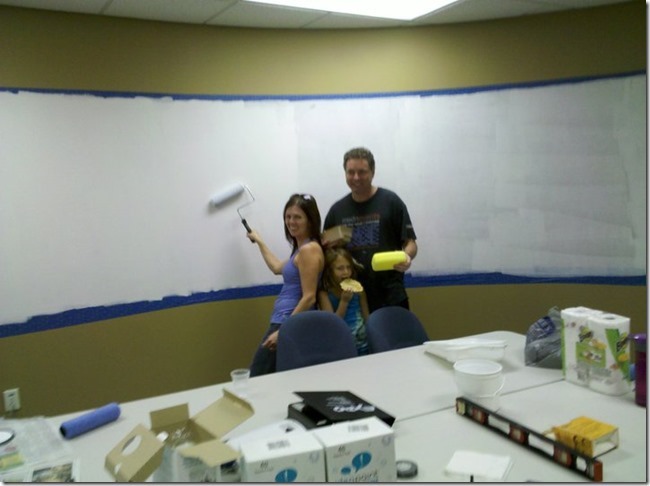 My wife, daughter and I took a Friday after work and that Saturday to paint the conference room walls, which had a nice cured corner. Truth is, my wife (the artist in the family) did most of the work. 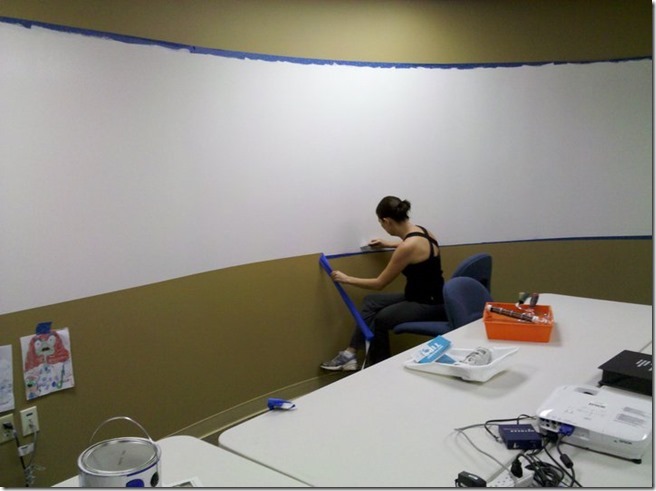 Once done, it was a giant white board! Couldn’t wait to put up my process flow diagrams on it. I didn’t tell anyone I was doing this mind you, I just did it. A few complaints about the smell into the next Tuesday. Everyone loved it to the point where people from our company were coming over from another building to have meetings in the room just to use the white board. My (consulting) company did give me a big gift card as a thank you. A few weeks later it was full. I guess we will use it in the new weight room to track our workout progress…. hmmm. We will see how that works out, I still highly recommend it for the office. 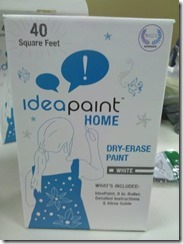 Click here to see Idea Paint on Amazon. We are upgrading from SQL Server 2005 to 2012. There are a lot of features for developers that have been added over those 7 years. Here are some you might find useful. 1. You can assign a value to a variable when you declare it. 3. 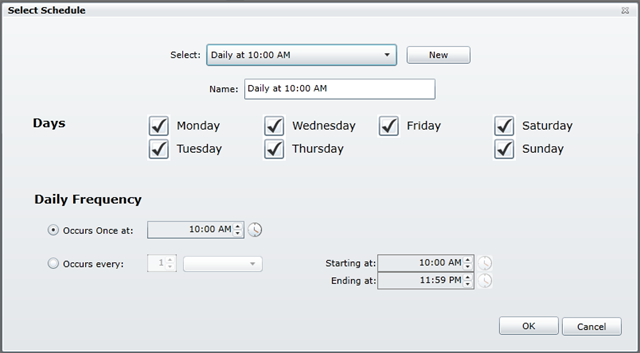 Among the new data type there are DATE and TIME types. 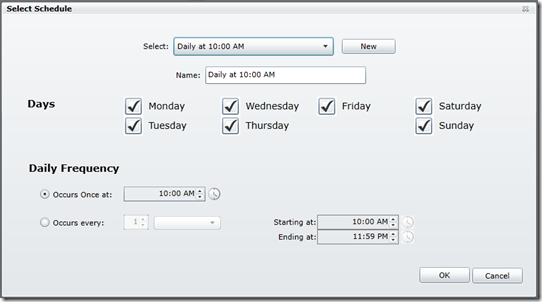 No more having to use a DateTime when all that you really want is a date. 11. You can now create your own types in the database (just like VARCHAR and INT are types.) You can even define a table type. You can then pass that type as a parameter to a stored procedure. You can also pass the table in as a parameter from C#. When you re-throw it keeps the correct line number of the error. This can also be used with transactions. 14. Reporting Services no longer requires IIS, it makes direct calls to HTTP.SYS. From a schedule program I wrote on my laptop I wanted to turn on an electric wall outlet which would then turn on the cat’s auto feeder. 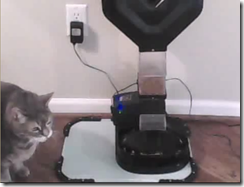 The wife said she didn’t trust this to work, so she needed a video showing the cat being feed. So I combined all the Z-Wave tools I posted about here with some other C# libraries to capture sound and video. I then wrote the code to have the video automatically uploaded to my server and then send my wife an email with a link to it. 1. The scheduler is scheduled to feed the cat 3 times during the day. 2. When it is time, the program turns on the laptop’s video and microphone. 3. 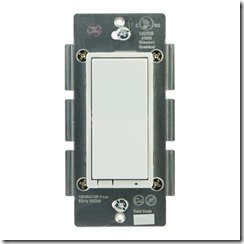 The program sends a Z-Wave signal to the wall outlet to turn it on. 4. The program waits 30 seconds, then combines the video and sound. 5. The program uploads the new video to my web server. 6. It then sends out an email with a link to a page that will play the video. I”m going to look into seeing if I can count the number of times it hears the sound of the food dinging the bowl as it falls. Then I could have the count in the subject of the email so it would be clear there was a problem if the count was low. Also, I’m going to use my ChangeAlerts! program to send me a text message if a cat video isn’t uploaded within 5 minutes of its scheduled time. That is a hungry cat that cannot miss a meal! I wanted to do some home automation and I wanted to write the code myself (I’m a software developer.) I looked into it and decided to use Z-Wave technology. I started by buying a USB Z-Stick for about $45 to allow my laptop to talk to the different devices. 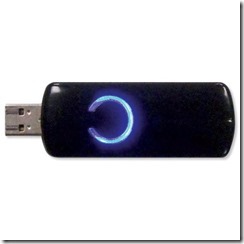 This can control up to 232 devices and each device rebroadcasts your command so it has a far range. Now I have this hanging off my laptop – not ideal but eventually I’ll be using a hidden old laptop in a closet to run this. Next items needed were the Z-Wave devices themselves, you can get motion, light, and temperature sensors, etc. And you can also get light switches and outlets that replace your normal ones. So I installed the switch below so I can turn the front porch light on when it gets dark from a program running on my laptop. The switch is always in the neutral position, so if someone switches it by hand it goes back to the middle and it doesn’t move when changed through Z-Wave. I have 2 of the outlets, one used by a light and one in the kitchen that I”m going to use to control a cat’s auto feeder (done – see here). You can buy all these items on Amazon.com. Everything is working so far, if you can think of another use for this leave me a comment.